Lensrentals has posted a article about comparison with Sony’s full frame ultra-wide zoom lenses: Sony FE 12-24mm f/4 G Lens Vs. Sony FE 16-35mm f/2.8 GM Lens Vs. Sony FE 16-35mm f/4 ZA OSS Lens. According to Lensrentals, these three lenses are all excellent wide zoom lenses that each have their strengths and uses. 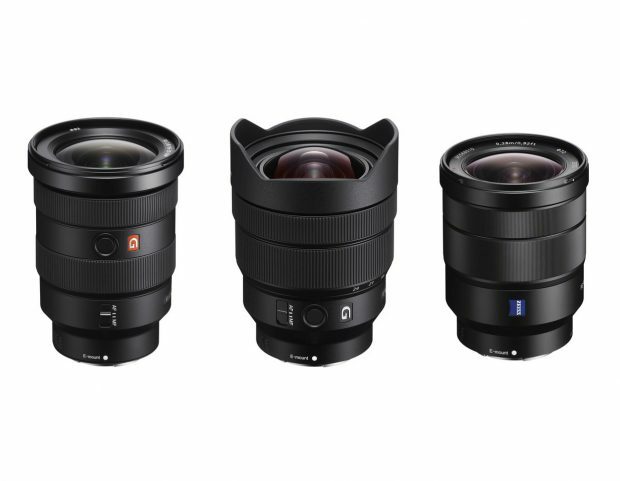 the Sony 16-35mm f2.8 GMis outperform in all these three lenses, officially getting added to my go to lens list. I was extremely impressed (in case you couldn’t tell). The best way for you to feel the ecstasy of this lens is to take it out and shoot. You won’t be disappointed. I picked on quite a bit, but really, it’s an impressive lens that has a funky look but only at 12mm. Beyond anything else, it’s a specialty lens and does it well, but can’t keep up to the day to day usability of the slightly longer focal ranges that the competition provides. The Sony 16-35mm f4 ZA is still a usable lens that I would recommend to anyone that wants a more rugged lens. This guy is built like a tank and is the heaviest of the wide zooms… but don’t let its rough exterior fool you. The Sony 16-35mm f/4 ZA has great, smooth focus, zoom action, and in my experience, is pretty well sealed from dust. See the full comparisons and sample image of these three ultra-wide zoom lenses.